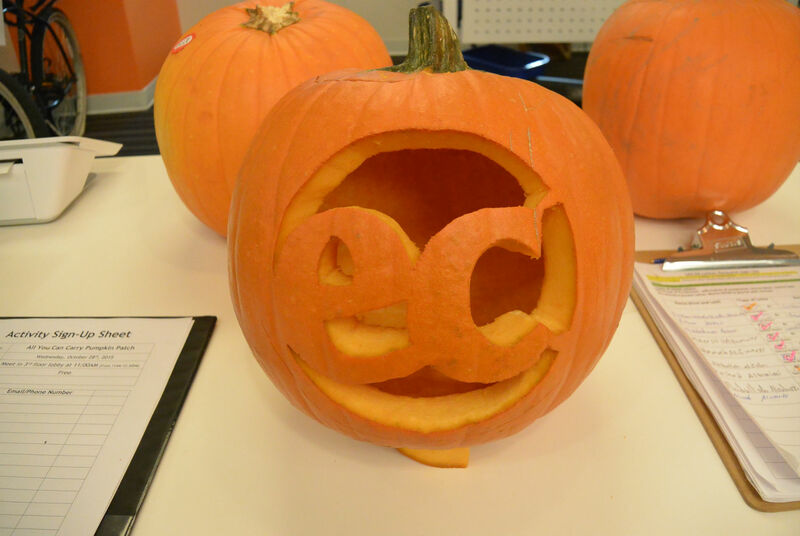 ECLA's Jack O' Lantern Contest! 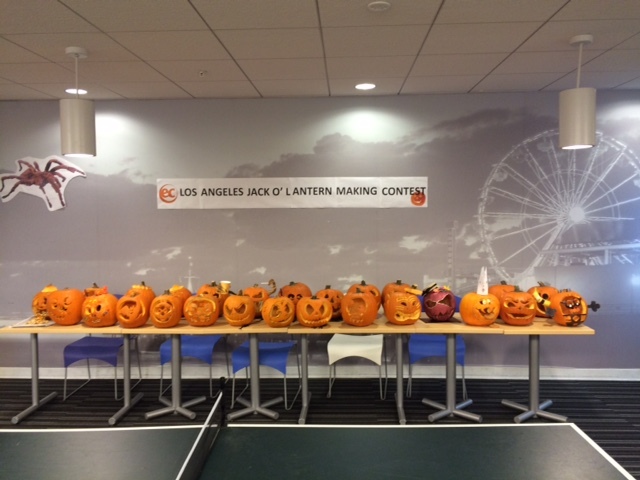 ECLA’s Jack O’ Lantern Contest! 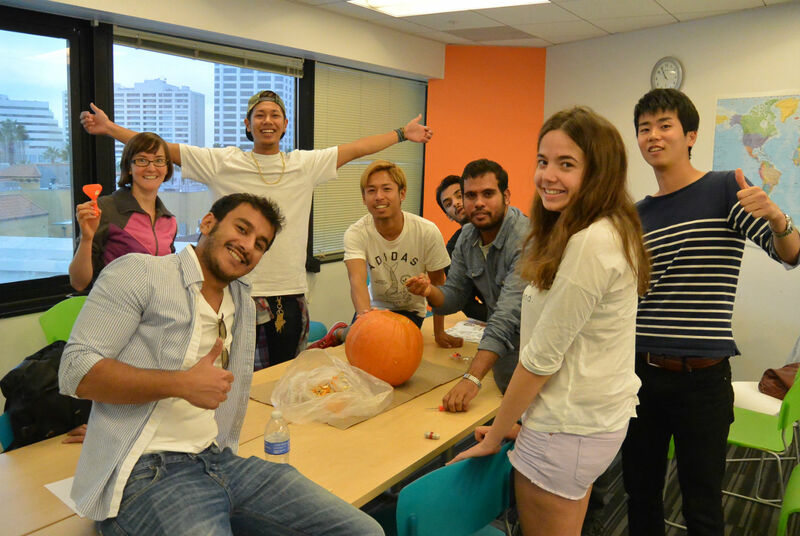 On Tuesday, October 27th, 2015, each Core class at EC Los Angeles had the chance to participate in a Jack O’ Lantern Contest. For many students, this was the first time they ever heard about this Halloween tradition! We decided to investigate the origins of Jack O Lanterns! The tradition of making Jack O’ Lanterns was brought to America by Irish and Scottish immigrants. In Ireland, there was a legend of Stingy Jack! The story goes, Stingy Jack wanted to buy a drink, but didn’t have any money. He tricked the devil into turning himself into a coin – instead of spending the money, he put the devil-coin in his pocket next to a cross and the devil was trapped. Stingy Jack made a deal with the devil – he would let the devil go if Jack would be safe for one year and also not go to hell if he died. The devil agreed. After one year, Stingy Jack yet again tricked the devil by asking the devil to get him some fruit from a tree, and trapping him in a tree with a cross. Soon after, Jack died of natural causes. The legend says, God wouldn’t allow someone like Jack into heaven, and the devil wouldn’t allow Jack into hell, so Jack was forced to wander the earth carrying burning coal for light. In Ireland and Scotland, people would carve lanterns into turnips and put candles in them to signify the coal carried by Stingy Jack. This is why we call them Jack O’ Lanterns. Over the years and across an ocean, the lanterns are now carved out of pumpkins! 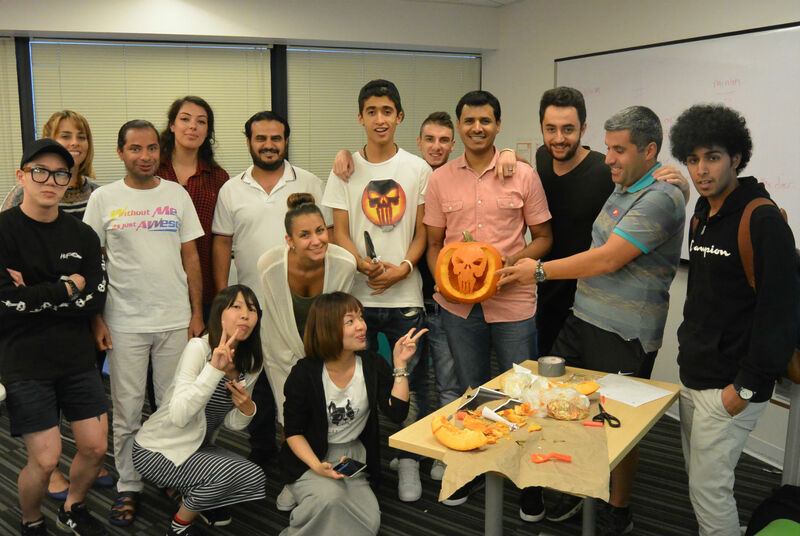 Now that we know the history of the Jack O’ Lantern, let’s take a look at some pictures of Tuesday’s activity! Want to have fun at a Los Angeles English center? Come to EC Los Angeles today!